ocial Media Blocker is the enterprise software to help you instantly Block popular social networks such as Facebook, Twitter, YouTube & many more. It operates in stealth mode blocking your social network across all browsers and applications on your computer.In addition to default social networks, you can also add and block custom Social Networks or Websites through advanced settings. 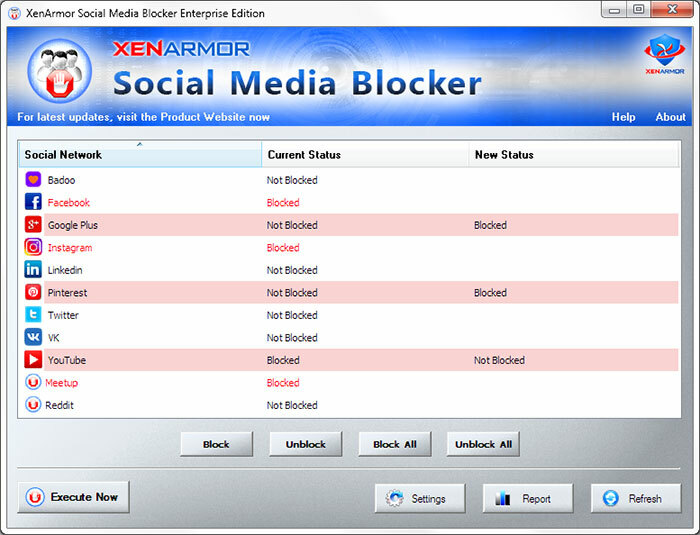 Social Media Blocker works on all Windows Platforms (32-bit/64-bit) starting from XP to Windows 10.